Tricia grew up in Tyngsboro and moved to Lowell after graduating high school. She attended Middlesex Community College’s dental hygiene program in 2001. Prior to becoming a hygienist, she worked as a dental assistant in both pediatric and general dentistry. 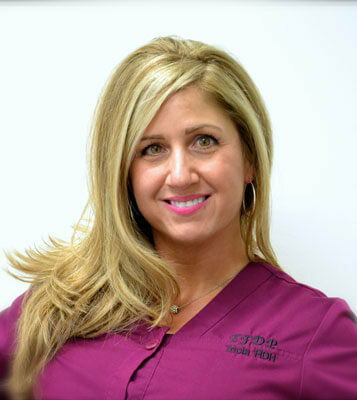 Tricia has been working for Dr. Hill for the past 13 years. She has a passion for health and helping people, and wants all of her patients to feel the utmost comfort while being in her chair. In her free time, she enjoys traveling, camping, fitness, spending time with family and friends, and meeting new people.